James Pittman was born September 15, 1871, son of William Edward and Margaret Clemens Ellis Pittman on a small farm one mile east of the town of Prairie Grove in northwestern Arkansas. William E. Pittman had been a distinguished officer in the Confederate Army in the Battle of Prairie Grove fought across the large acreage of his father’s farm. Young James grew up with his two brothers and three sisters in a house overlooking the battle field. James attended the University of Arkansas in Fayetteville some 20 miles east of Prairie Grove. To receive his medical education he left Arkansas to enroll in St. Louis College of Physicians and Surgeons graduating on March 23, 1898. 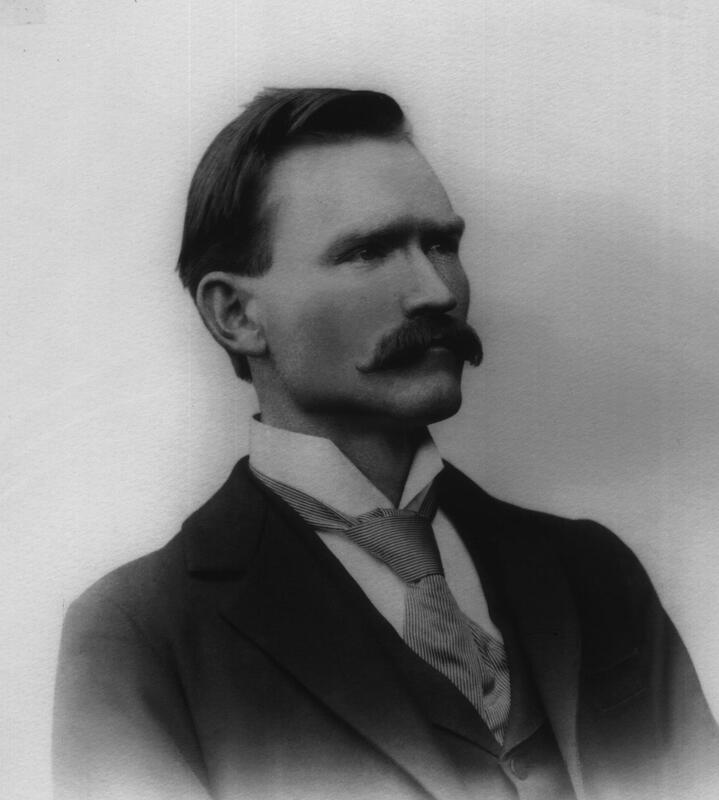 Dr. Pittman’s first medical practice was in Allen, Oklahoma, at that time still known as the Indian Territory. He stayed there only about a year before returning to Prairie Grove to set up a practice from his home. Records from 1903 (earliest required) show he was licensed in Arkansas. In 1909 he moved approximately 15 miles to Cincinnati, Arkansas to replace Dr. J.F. Gulledge who was relocating to Siloam Springs, Arkansas. His office had been used as a store previously. The extra space allowed room for Dr. Pittman to establish a pharmacy to augment his income. Dr. Pittman maintained a successful practice in Cincinnati for 10 years until his death on December 18, 1919. He was 48 years old and had practiced medicine for 21 years. The year after graduation from medical school, Dr. Pittman married Virginia Alice (Jennie) McCormick on January 17, 1899. Jennie McCormick was a distant relative of Cyrus McCormick of the thrasher fame. She was also a relative of Dr. E.G. Mc Cormick, another well know Prairie Grove doctor and a friend of Dr. Pittman. The couple had three children, two girls and one boy: Mary Helen (1899-1998), Margaret (1901-1995), James Edward (1904-0400). All three became highly recognized in the medical science field. During his years in Cincinnati, Dr. Pittman made his country rounds with a horse and buggy. One of his favorite horses was a white mare named Old Black Jo. The horse would take the tired, often sleeping doctor home after a late night call. Dr. Pittman always fed and rubbed down Old Black Jo when they reached the barn. One night when thieves tried to stop the buggy the horse rared up, kicked at the thieves and then galloped off, saving the doctor and his black bag of medicines. Another often-told story about Dr. Pittman was how he took his daughters with him on his house calls to help administer anesthetics or vaccinate patients. In December of 1919 Dr. Pittman diagnosed his own appendicitis. He asked to be taken for surgery to Fayetteville City Hospital approximately 35 miles away. When complications followed the surgery and he realized he was dying he called his family together. Young 15 years old James Edward, who later became a renowned surgeon, recalled the story of his father’s death bed instruction: “Take [the] family to Conway, Arkansas and go to Hendrix College, a Christian school, get a good education and you will never have any trouble—and that is exactly what I did”. Dr. Pittman’s body was carried by train from Fayetteville back to Prairie Grove for burial. The funeral service was held in the Presbyterian Church where he was a member. A Methodist minister and friend led the service. The eulogy portrayed Dr. Pittman as one of Washington County’s “noblest citizens” and the medical profession’s “honored and gifted member”. As a member of the Odd Fellows, Dr. Pittman’s burial was conducted by two Odd Fellows Lodges. He was buried in the Prairie Grove Cemetery.